English - Site de gite-des-ecrouettes-broce ! bordered by its lake and abbey and surrounded by Paimpont forest. This is a place for lovers of nature, local history and culture, as well as those with a taste for fantasy and legend. 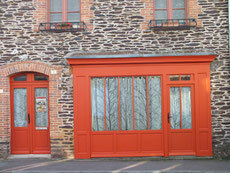 The Gite is close to hiking trails, shops and the "Porte des Secrets". It is a traditional stone town house that has been carefully restored and comfortably fitted. The furnishings and decor are both functional and imaginative, and reserve some pleasant surprises. Rated 3 stars, it is equipped to accommodate 1-6 people, has a spacious living room with woodburner for cozy evenings with friends or family, and two upstairs bedrooms. It has a private, quiet, south-facing garden for basking or barbecuing. 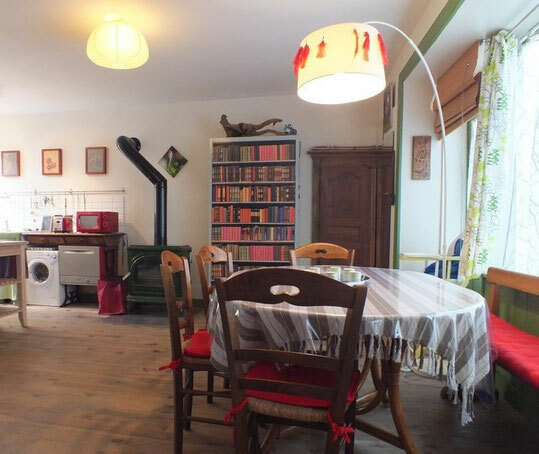 Its location in central Brittany provides a good vantage point for exploring the region, with easy access to historic towns and both north and south coasts.